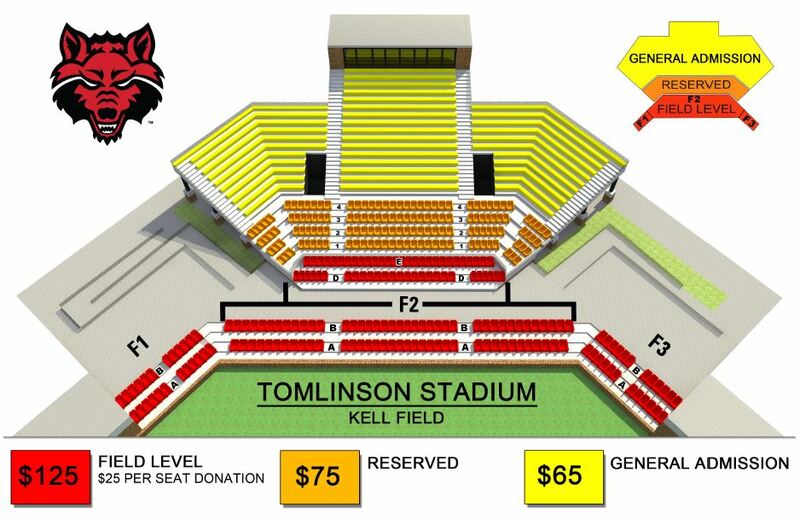 The first four rows of seating around home plate require a $25 per seat donation to the Red Wolves Foundation. Available for no donation, however season ticket charges do apply. Please call the A-State Ticket Office at (870) 972-2781 or visit Astateredwolves.com to purchase your tickets. To rent out Barton’s Deck for your next social or corporate gathering, please contact the Red Wolves Foundation at (870) 972-2401.